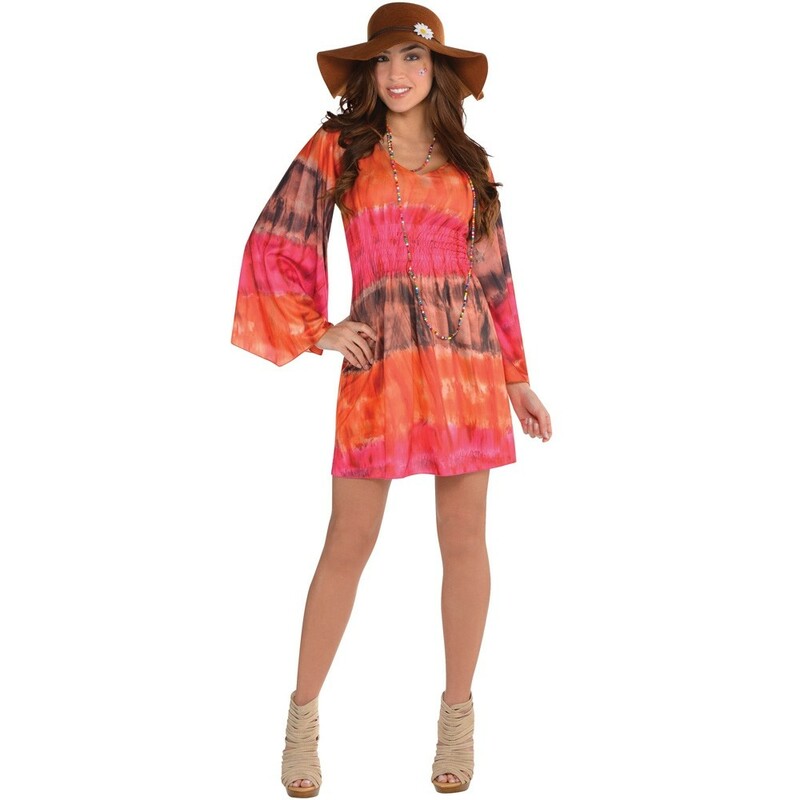 60’s Summer Dress - It features a fitted scoop-neck dress with bell sleeves and an all over tie dye print. This 60’s Summer Dress has elastic gathered above the waist to define your curves. Available in one size (to fit approximately UK sizes 10-14).